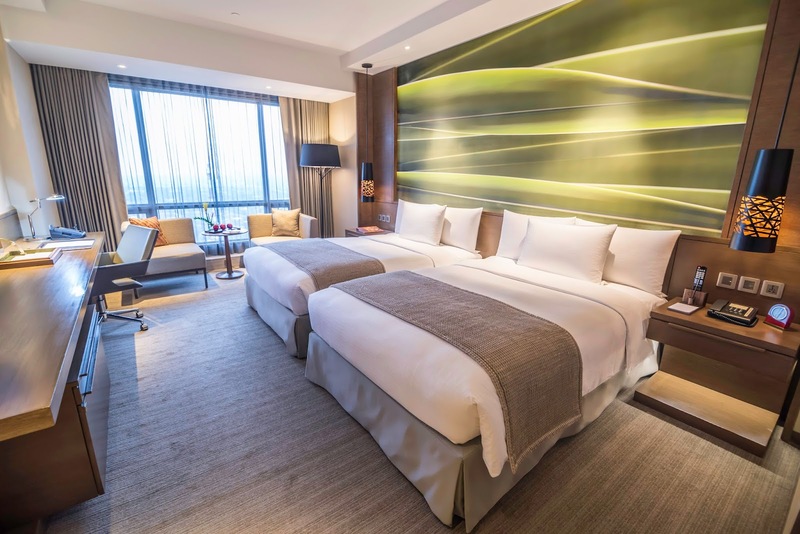 Launching its new summer campaign this June, Marco Polo Hotels welcomes the year’s summer holiday season with a package designed for travellers taking time off for the holidays. Hello Summer gives guests the opportunity to lie back and relax during their stay at any of its 13 award-winning hotels across China, Hong Kong and the Philippines. PROMO ALERT: Make your weekend exciting with McDonald’s Shake Shake Fries #TrufflingShuffling Dance Challenge! Have you watched the latest Truffling Shuffling Dance video of YouTube's popular dynamic duo Ranz & Niana? If not, check out their latest dance moves together with McDonald’s Creamy Truffle Shake Shake Fries, HERE. 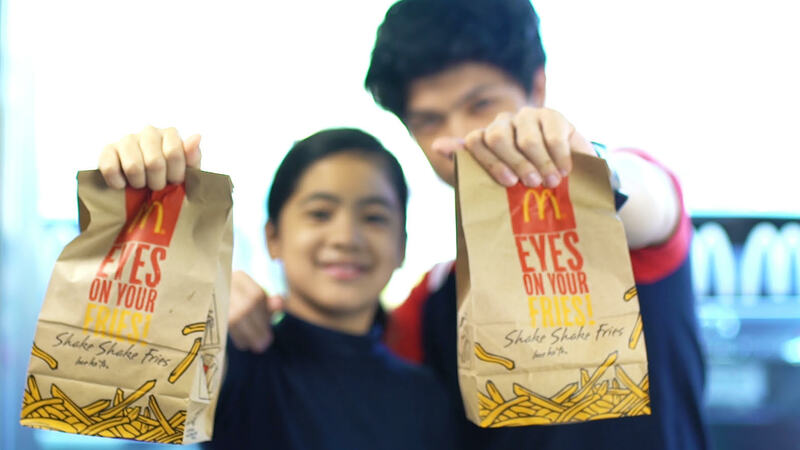 Get up, put on your dancing shoes, and get ready to shuffle with the truffle like Ranz & Niana as you join McDonald’s #TrufflingShuffling Dance Challenge, happening this weekend from May 26-28, 2017! The Philippines will once again play host to one of Asia’s biggest food events, the World Street Food Congress (WSFC)! And this time, the event gets bigger and better. For five full days of gastronomic adventure, foodies from around the world will get to enjoy over 35 different kinds of street food from across 13 countries. This will happen from 31 May - 04 June 2017 at the SM Mall of Asia Concert Grounds. Organized by photojournalist and TV personality K.F. Seetoh of Makansutra and presented by Tourism Promotions Board (TPB), this year’s WSFC will highlight three exciting components: World Street Food Jamboree, World Street Food Dialogue, and World Street Food Awards. 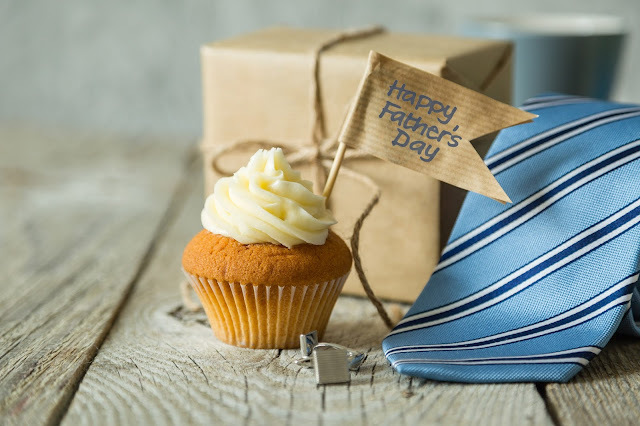 Show and express appreciation to the man who has given us more than what we deserve, as Marco Polo Ortigas Manila celebrates all dads this coming Father’s Day. Give him a gift he deserves. Indulge in a delectable buffet for a hero’s feast at Cucina from June16 to 18. As a gift for the man of the house, dads dine for free for every four paying guests. Ibiza Beach Club just opened last April to their new home in Bonifacio Global City, tracing their roots from the very successful Ibiza Beach Club in Movenpick Hotel Mactan Island Cebu, conceptualized and established by award-winning vintner, entrepreneur and tourism player Manny O., the chairman of the Manny O. Group. The Ibiza Beach Club in Bonifacio Global City (BGC), a new 4,000 sqm flagship restaurant, is set to make waves as it caters to the people in Metro Manila! The vision of Lifestyle Dining + Unrivalled Entertainment is set to make it the most exciting entertainment spot in the metro today! As a tribute to these lovely ladies, all mothers get 50% off on food and beverage orders when they dine at PAMANA RESTAURANT on Mother's Day, May 14, 2017, for the selfless love that they have always provided the family, they also get FREE Guinumis or Bibinka on that day. Available only on May 14, 2017 in Makati, Quezon City, Tagaytay City, branches, First come first serve. Welcome the new Jollibee Garlic and Cheese Crispy Flavored Fries! 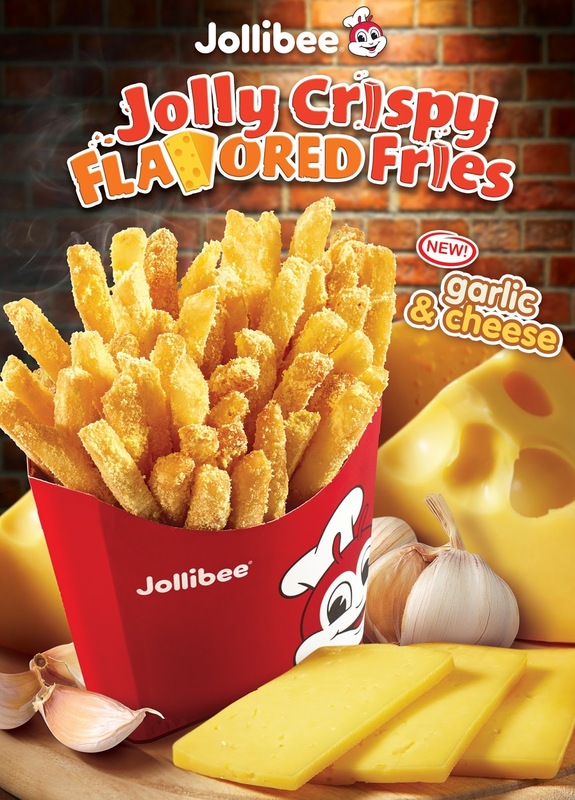 Give in to the new Jollibee Garlic and Cheese Flavored Fries! Jollibee levels up your favorite cheese flavored crispy fries with savory garlic for that perfect mix of exciting flavor. 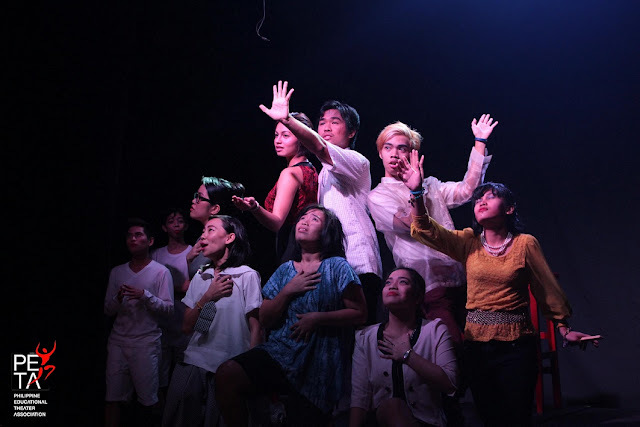 Summer is the perfect time to bond and catch up with friends, whether to try and discover new adventures and experiences or a simple hangout through binge watching movies or series, trying out adventurous games and activities, and going on road trips and food trips. What better way to make barkada bondings more exciting and enjoyable than having the perfect snack. 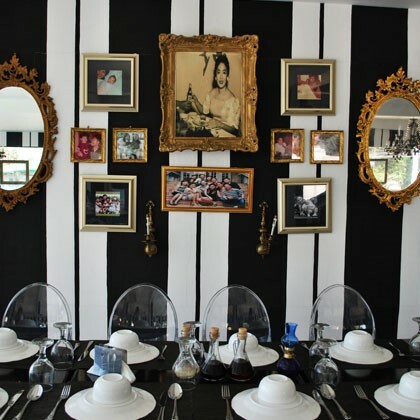 City of Dreams Manila pays tribute to moms with a variety of indulgent dining choices at its award-wining restaurants and special treats at DreamPlay, the DreamWorks-inspired interactive play space, in celebration of Mother’s Day. Waiting for exciting news to shake up your day? Available today, McDonald’s Shake Shake Fries is back as your ideal flavorful snack! It is the World Famous Fries made even more exciting with new flavors that you can have and enjoy your way. 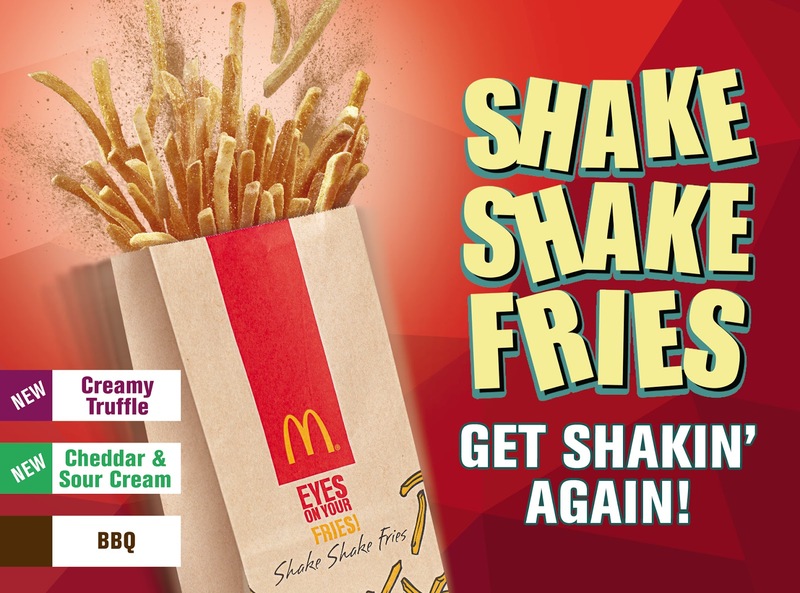 But there’s more—McDonald’s introduces two new delicious Shake Shake Fries flavors: Creamy Truffle and Cheddar & Sour Cream. Creamy Truffle is a rich and savory truffle flavor balanced with a hint of creamy cheese and chives that will keep you coming back for more. If you’re looking for a tasty creamy cheddar flavor blended with a light sour cream twist, then Cheddar & Sour Cream is the way to go! The Shake Shake Fries is also available in the classic BBQ flavor that has just the right spice. 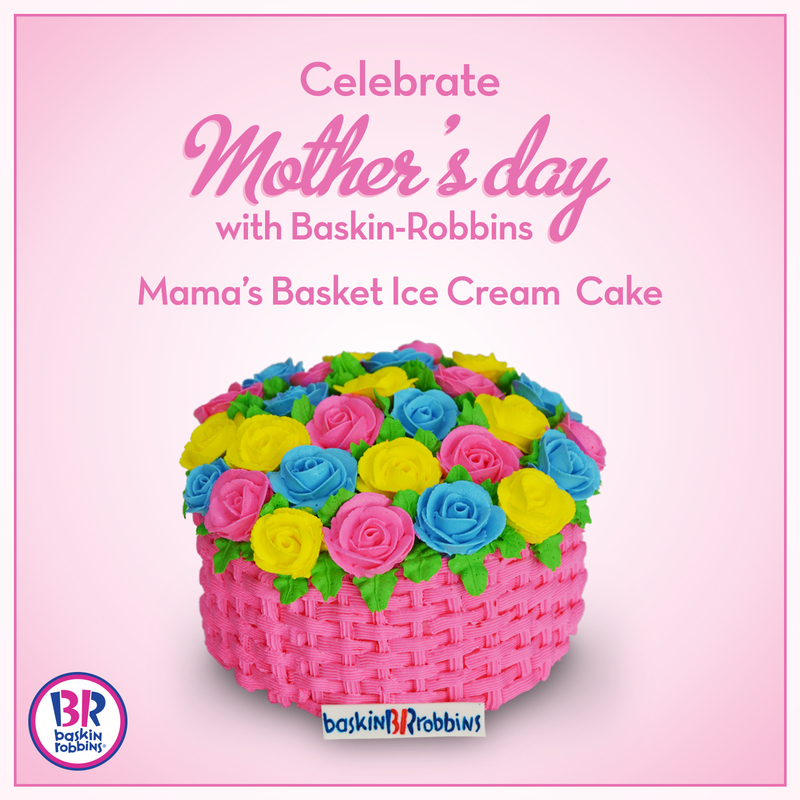 Any woman can be a mother, but it takes someone special to be called a “mom”. 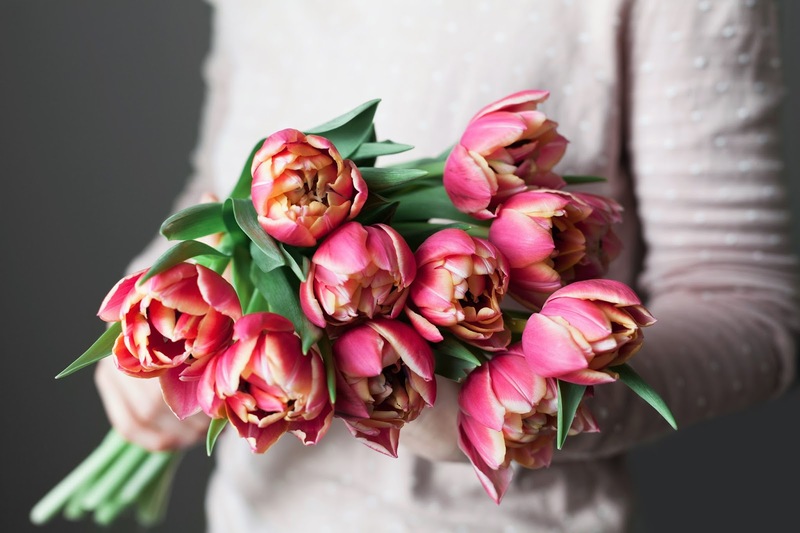 As Mother’s Day comes, Marco Polo Ortigas Manila honours all mothers for the selfless love that they have always provided the family, with a line-up of privileges to enjoy this coming Mother’s Day. Spend a special and intimate weekend getaway with mom, and create meaningful journeys. Book a Premier room on May 13 to 14, and let her enjoy a 90-minute relaxing spa, on us. This comes with the breakfast buffet for two adults, and two kids from 6 years old to 12. Step out in style this summer like up and coming teen stars Maymay Entrata and Edward Barber as they join the McDonald’s family as the newest endorsers of the new Creamy McFreeze. Take it from their latest TV commercial “Cool Summer with MayWard” as they show everyone how to turn the streets into their catwalk with the newest summer sensation: McDonald’s Creamy McFreeze. You can watch the fun and playful TV commercial HERE. Superheroes are real, and they are called ‘Moms’. This Mother’s Day, celebrate with Hotel Jen Manila and take Mom and the whole family to Latitude for a hearty feast and surprise her with a bundle of pleasantries! On May 14, 2017, Latitude shall be serving an indulgent buffet brunch spread that includes a salad bar, fresh seafood station, hot items that include seafood thermidor, Singaporean chicken wings and pan-seared salmon belly; a live cooking station where your favorite pasta is cooked a la minute and slices of roast prime rib of beef at the carving station. Pair it with your favorite wine as Latitude also offers a wine buffet for only Php 485 nett per person. 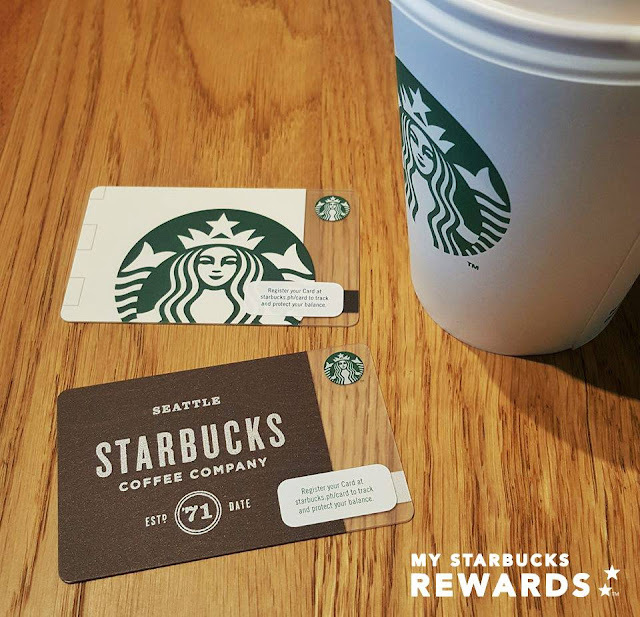 P100 Grande Wednesdays at Starbucks all Wednesdays of May + New Cards to collect this May 4 with a promotion! 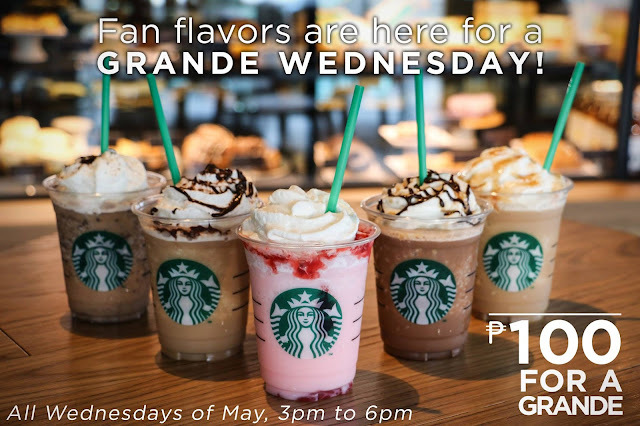 Enjoy your favorite Starbucks Frappuccino Grande size for only P100 for all Wednesdays of May! Starbucks makes your Wednesdays even more exciting with the Grande P100 offer on fan favorite Frappuccinos, here are their corresponding flavors and dates from 3pm to 6pm. Promo applies to Grande (16oz.) size only. Limited up to two (2) purchased featured fan flavors per customer per transaction. Purchased fan flavor will not earn a Beverage Star if paid using a Starbucks Card. Valid in all Starbucks stores in the Philippines. Welcome the new Starbucks Woodmark Card and Whitecup Card available starting May 4 with a minimum load up of P300. 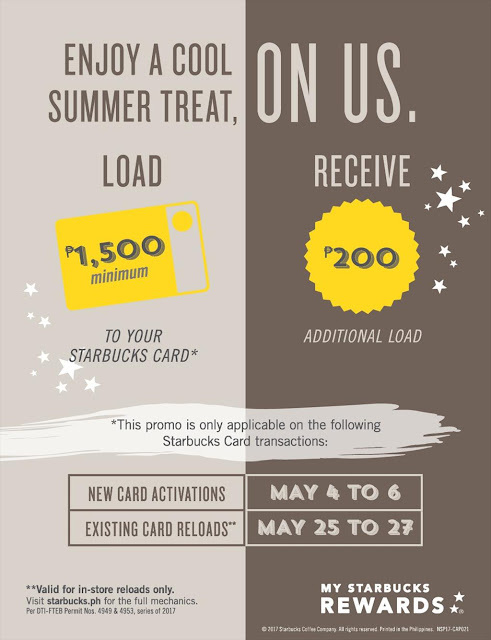 For New Cards Activation: From May 4 (12:01 AM) to May 6, (11:59 PM), customers who activate any Starbucks Card with at least ₱1,500 will receive an additional ₱200 load. For reloading of cards : From May 25 (12:01 AM) to May 27 (11:59 PM) customers who reload any Starbucks Card in any Starbucks store in the Philippines with at least ₱1,500 will receive an additional ₱200 load. This promo applies to any Starbucks Card reload in-store transactions. Not valid for online reloads. 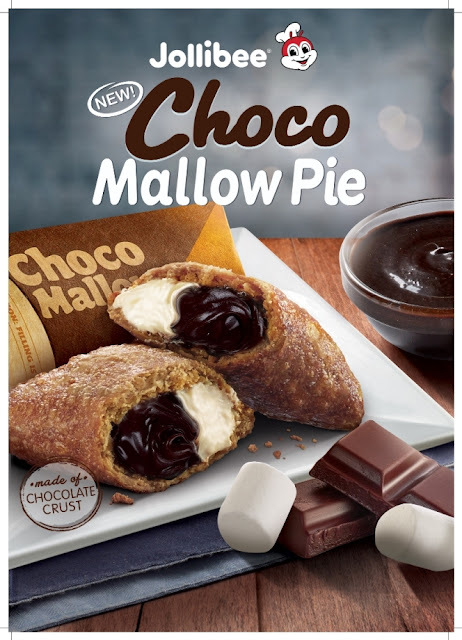 The scorching summer heat in the Philippines has one delicious upside: we get to enjoy deliciously cool desserts from the country’s number one fast-food brand, Jollibee! 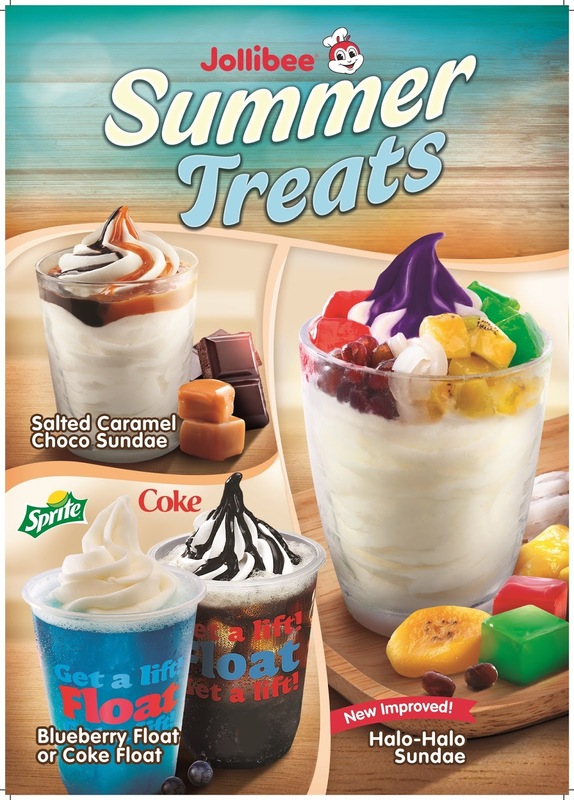 Now available, Jollibee is bringing back two limited summer treats—the Halo-Halo Sundae and the Blueberry Float—to join the Coke Float and the Salted Caramel Choco Sundae in offering diners a delicious, indulgent way to cool down. This summer many kids are taking time off from school, and it’s the perfect time to take up a new hobby and hone their talents further. Countless workshops are popping left and right, from cooking to dancing.